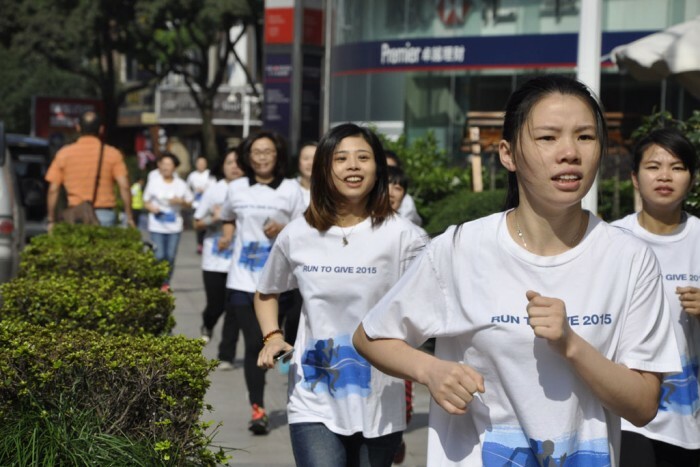 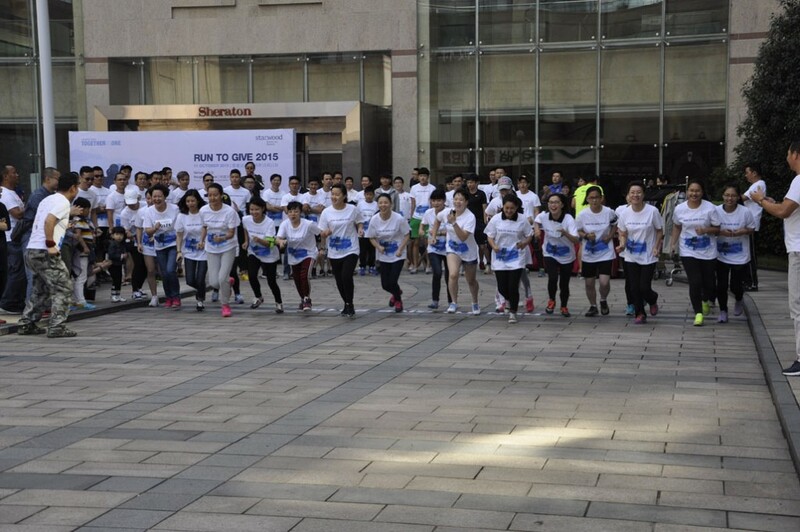 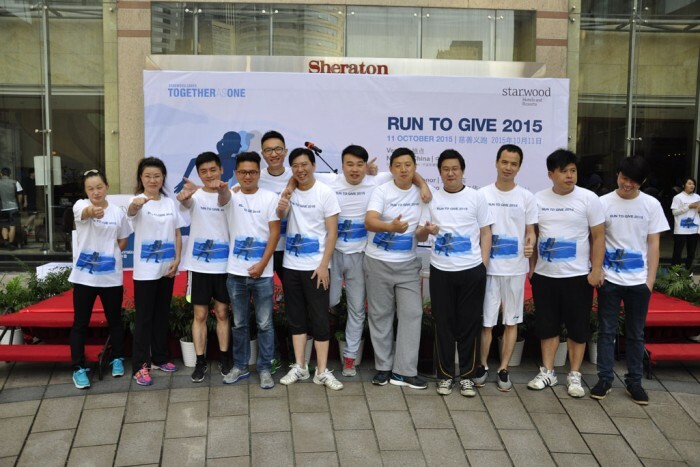 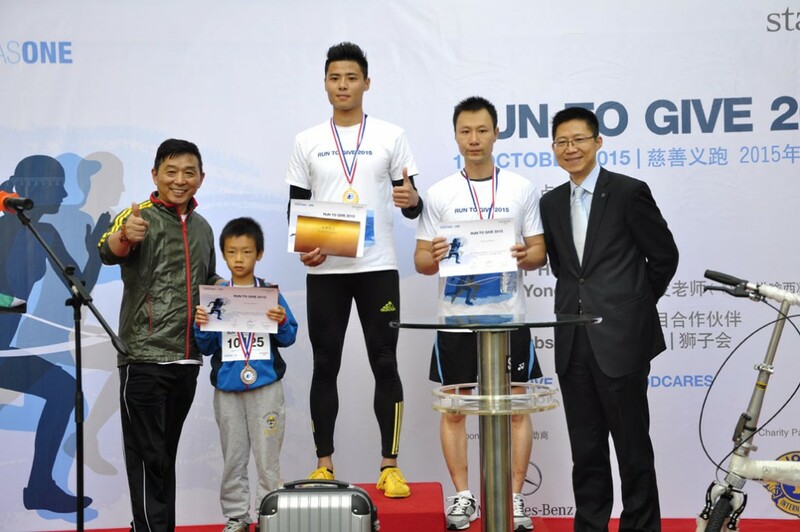 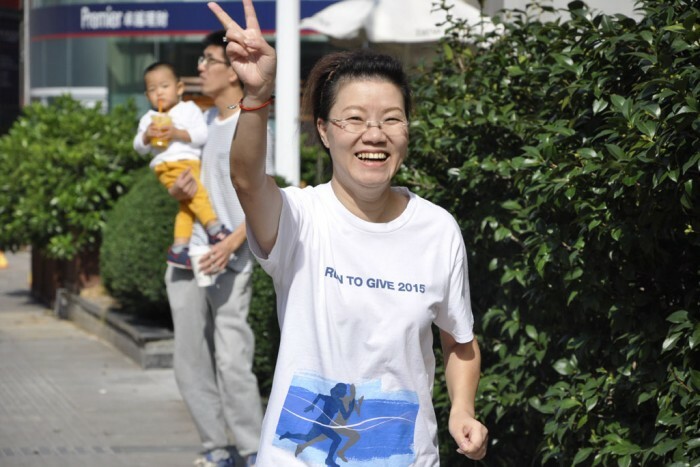 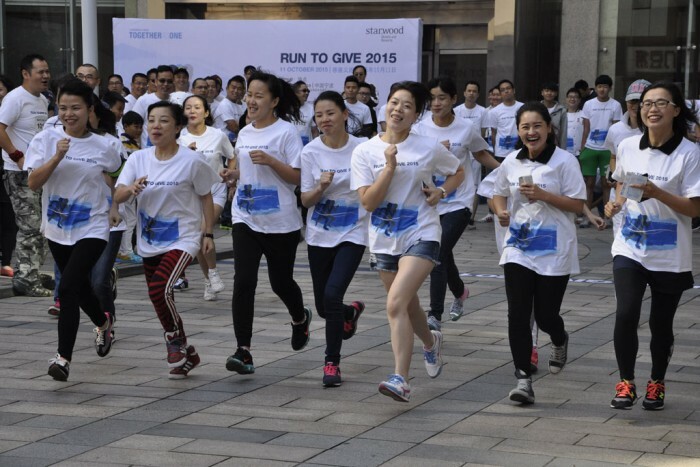 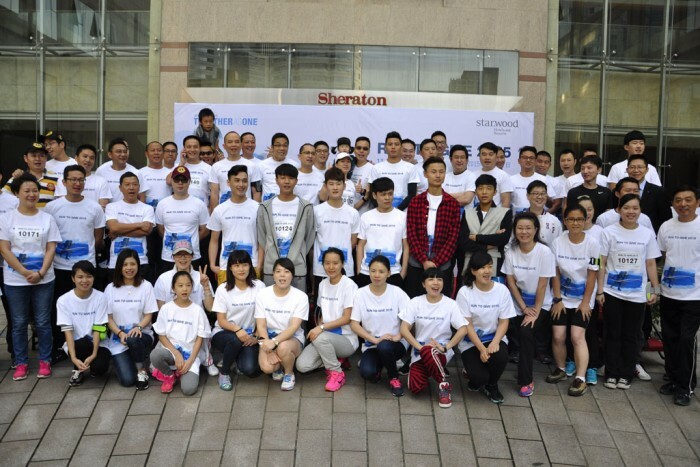 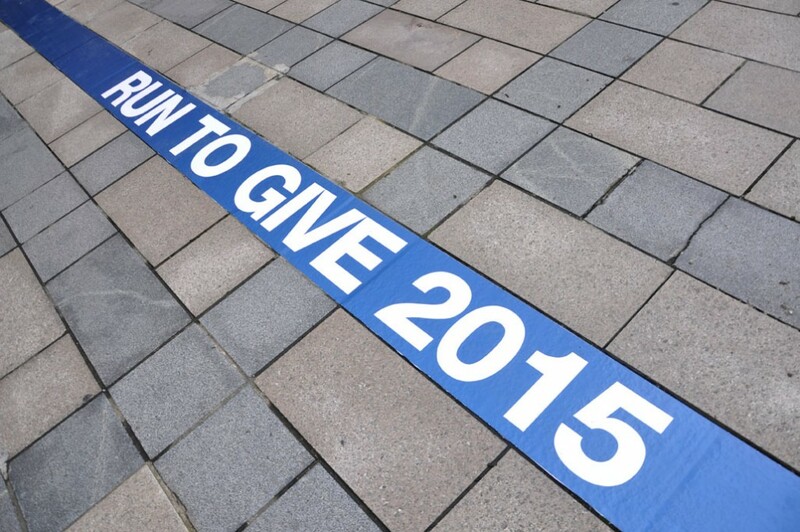 On 11th October, Sheraton Ningbo Hotel hosted the Run to Give 2015. 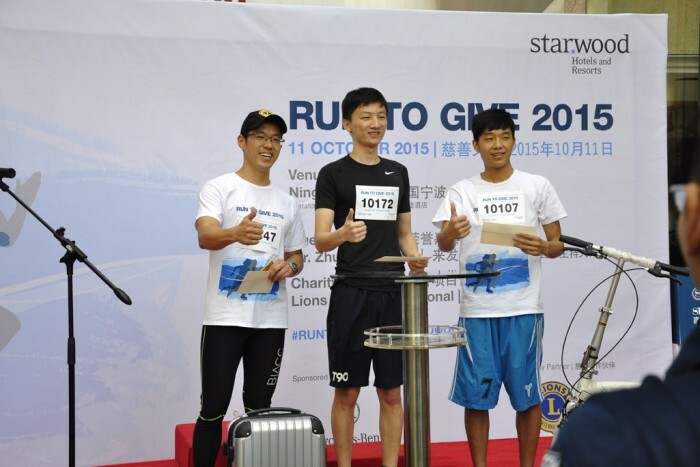 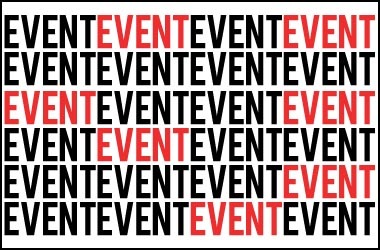 The event, organized by Starwood Asia-Pacific Division, is an annual charity run that falls on the second Sunday of October each year. 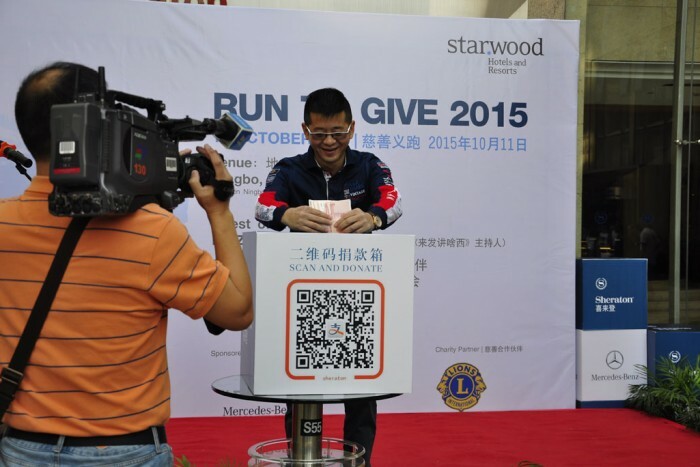 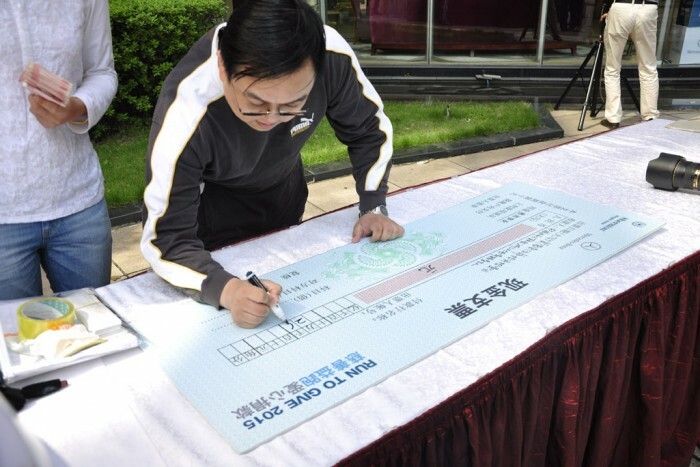 Sheraton Ningbo Hotel hosted the event along with Lions Club International Zhejiang Chuanqi District in order to raise money for seniors in Zhoushan. 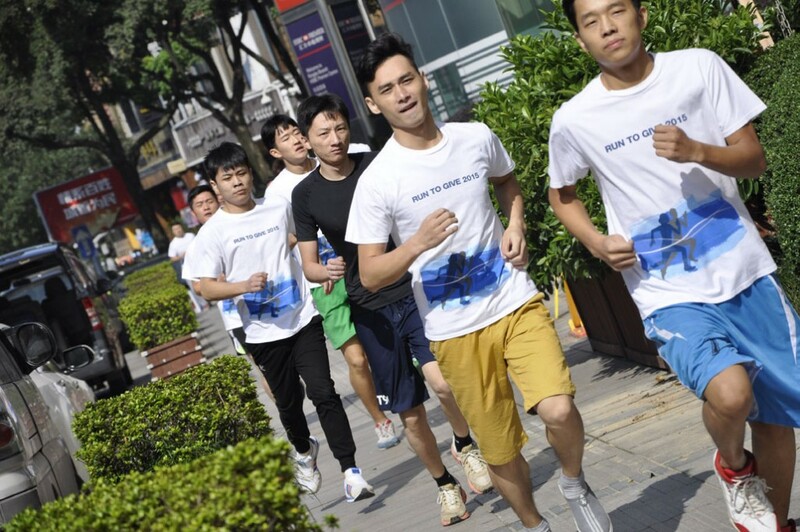 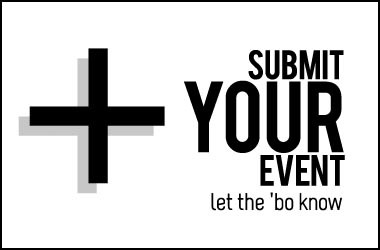 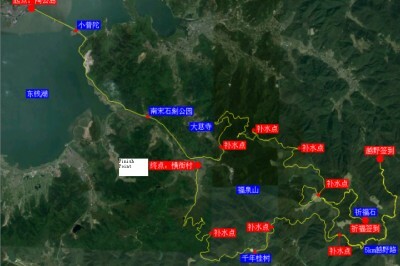 The run was more fun than workout, with the five lap race around Portman Plaza measuring up to only three kilometers, but the race nonetheless garnered a lot of positive attention and raising RMB 26,258, more than triple last year’s total. 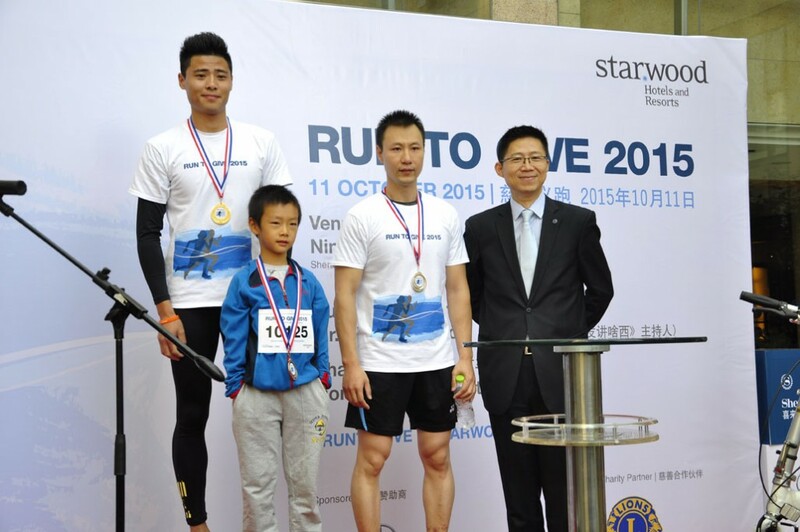 The event welcomed Guest (Runner) of Honor Mr. Zhu Yongyao, a famous TV show emcee known as Lai Fa (Lai Fa Jiang Sha Xi is the program). 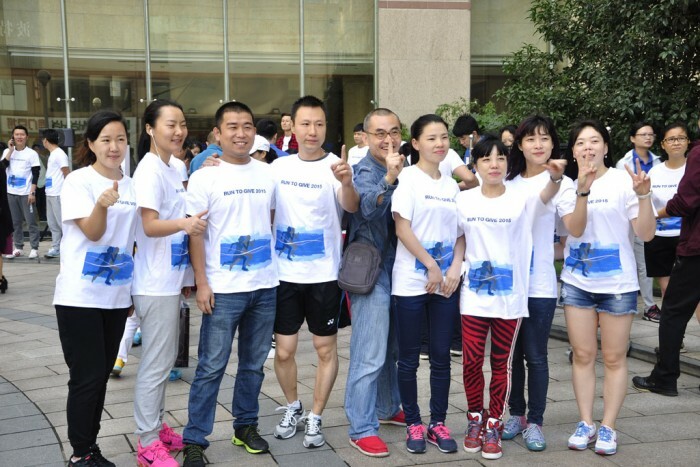 Even iIn his early 60’s, he looked perfectly fit and he told the audience present that this was a result of daily exercise. 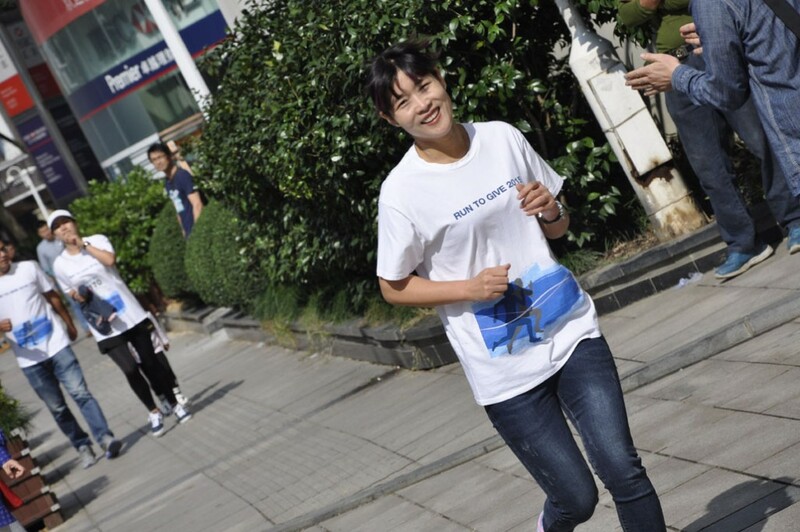 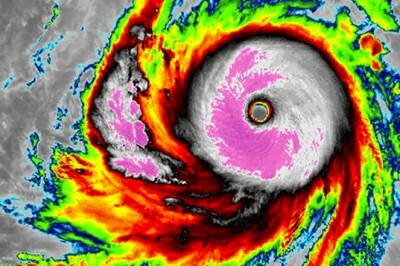 Mr. Zhu said he would love to serve as the role model both for keeping in shape and doing charity work. 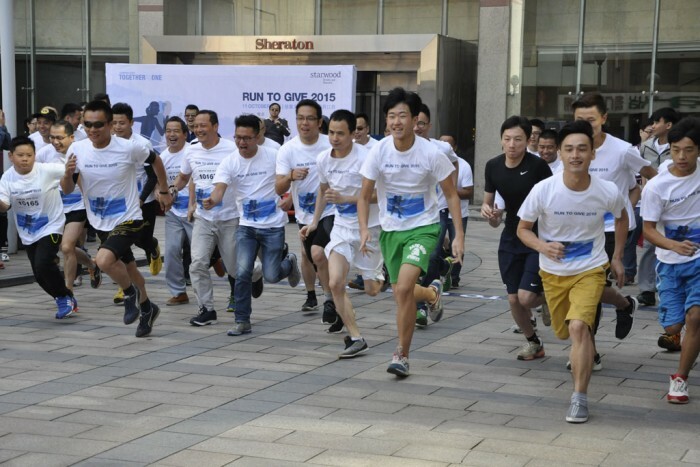 His presence triggered some selfie ardor among the runners and some of them even gave up their pre-run warm-up for a photo opportunity with the celebrity. 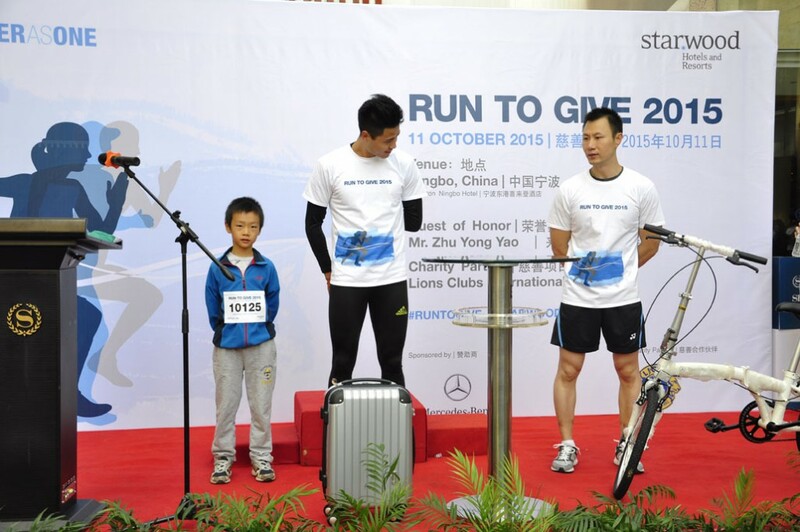 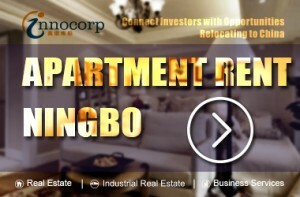 Mercedes Benz Ningbo Star Automobile Service Co., Ltd., the co-sponsor of this event, gave the medalists a watch, a foldable bike and a trolley case respectively, all branded, in addition to hotel trophies to award their hard work for the charity cause. The third-place winner amused the audience present by sending his son, who also finished the run, on the stage to accept the prize on his behalf.